"Did you notice how almost automatically we tend to translate issues of sexism, racism or ethnic violence, whatever, into the terms of tolerance?". 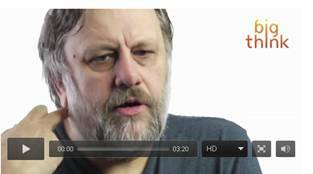 But tolerance is a value shaped by a particular perspective: "We have different cultures. What can we do? We can only tolerate each other. Tolerance is a gift we give each other (or not). Rights, on the other hand, are inalienable. Distinguishing between the two requires conscious thought. At stake is the difference between reaction and reason, conventional wisdom or a code of ethics. Whenever a question or an issue appears to "go without saying," it's philosophy that helps us understand what is not being said. The question "Why can't we all just get along?" suggests a particular framework for thinking about the answer. Implicit is the idea that a solution to institutionalized racism and sexism lies in convincing the dominant group to relinquish their biases and share the power". Newborders in a new world. Ethnic nationalism, different creeds. It is important to understand each others arguments. In addition reciprocity seems to be a keyword. Used in social, cultural and religious contexts tolerance describes attitudes and practices that prohibit discrimination against those practices or group memberships that may be disapproved of by those in the majority. Though developed to refer to the religious toleration of minority religious sects, tolerance is increasingly used to refer to a wider range of tolerated practices and groups or political parties or ideas widely considered objectionable. John Locke proposed a more detailed and systematic theory of toleration, which included a principle of Separation of Church and State that formed the basis for future constitutional democracies. The philosophers and writers of the Enlightenment, especially Voltaire and Lessing, promoted and further developed the notion of religious tolerance, which however was not sufficient. Theusual definition of tolerance in pre-modern times as Bernard Lewis puts it was that: “I am in charge. I will allow you some though not all of the rights and privileges that I enjoy, provided that you behave yourself according to rules that I will lay down and enforce”. Very topical on tolerance are Jurgen Habermas’ statements during his lecture in March last at Nexus Institute: The Post secular Society - What does it mean? Habermas explained the strained relations between creed, church, the state, individual citizens, politics and society: “Tolerance is often seen as synonym for respect. But that is a misunderstanding. In European history tolerance mostly went attendend by a lack of respect – minorities were hold in contempt, but were tolerated. Separation of Church and State is not the solution for all problems anymore. Secular range of thougt is dominant in our society and the faithful don’t feel well, often even discriminated. In daily life citizens have to exert oneselves to understand each others arguments. For that purpose they should learn something of each others vocabulary. After that they can mention points of differences, make concessions and overcome disputes. Only understanding is needed to do business”. Of great help to understand the idea of tolerance and each others arguments is dialogue and schooling. After all, lessons are the means to give food for reflection. “Where to begin?” wrote philosopher Hassan Hanafin in 2005. In January this year the European Union and Grand Mufti mr. Hassoun answered that question. Motto now is “Maintaining the Dialogue”. Furthermore, the Alliance of Civilizations, the Coalition of the Global Commons and myriad other institutions are active in this direction. TheEU declaired 2008 “European Year of Intercultural Dialogue”. A partnership between a faculty, some universities and an institute organised the Management International Conference “Intercultural Dialogue and Management” in Barcelona November 2008. In daily life citizens have to exert oneselves to understand each others arguments. Believe in tolerance could also be seen as a part of solution of the situation on the Western Balkans (Kosovo, Serbia, Bosnie, FYR Macedonia). How the European perspective could be strengthened, how about Kosovo, a new state within Europa, how will situations further develop and how to manage to let perspective succeed. History and believes are very important elements. In Kosovo furious young people and drugs-maffia is of significance. In Serbia is a fast ageing of population present. Russia and Serbia has strong ties for centuries and a voluminous part of the citizens sympathize with Russia, another voluminous part will join the EU. America is also giving pressure. Nevertheless, a wide commited policy of encompassing and by comprehensive politics increase also chances to succeed in satisfied solutions: "Civil Society Development in Southeast Europe: Building Europe Together" (EU). There is connection between toleration and political theory. 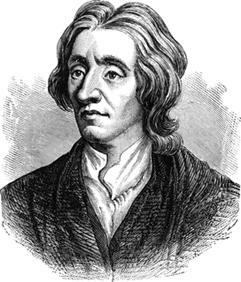 Locke, an English philosopher and physician and regarded as one of the most influential of Enlightenment thinkers, believed that human nature is characterised by reason and tolerance. Like Hobbes, Locke believed that human nature allowed men to be selfish. This is apparent with the introduction of currency. In a natural state all people were equal and independent, and everyone had a natural right to defend his “Life, health, Liberty, or Possessions". Most scholars trace the phrase, "life, liberty, and the pursuit of happiness," in the American Declaration of Independence to Locke's theory of rights, though other origins have been suggested.